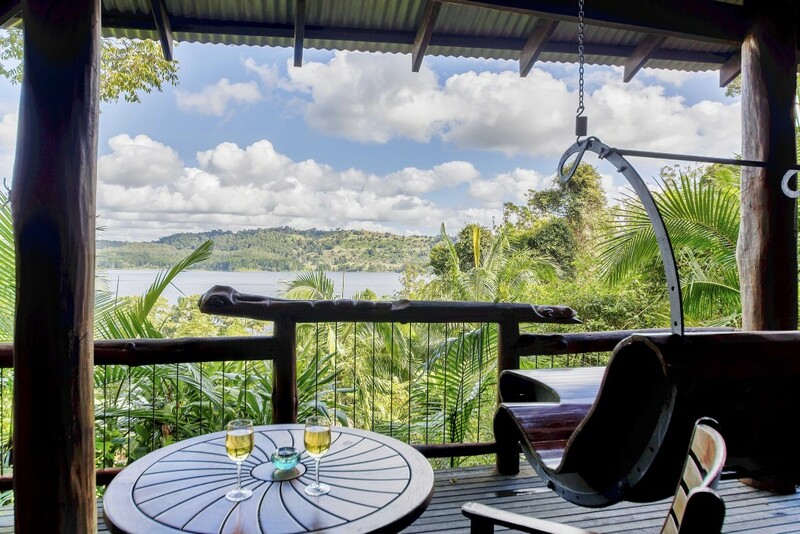 We have four penthouse treehouses available for our guests to select from, including options that sleep four or six people, as well as our ultimate flagship penthouse ‘Secrets’ which is popular with honeymooners. Each unique penthouse treehouse has its own unique look, feel and personality, and all have stunning views overlooking the lake, magical elevated walkways, exquisite carvings and our iconic artistic hand-carved features and details. All of our luxury penthouse cabins also come with a complimentary breakfast basket that includes a bottle of wine of your choosing as well as welcome scones on arrival. We also deliver complimentary fresh croissants or muffins to your cabin every morning. 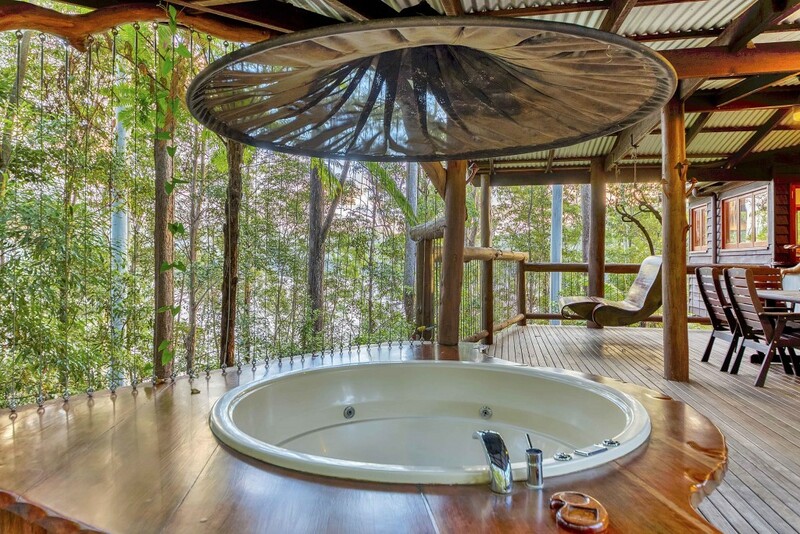 Backing onto a cliff face and sitting on a large sandstone rock, Dragon fly is suitable for a couple and has a step down spa bath with a television nestled into a rock and cedar sculpture. 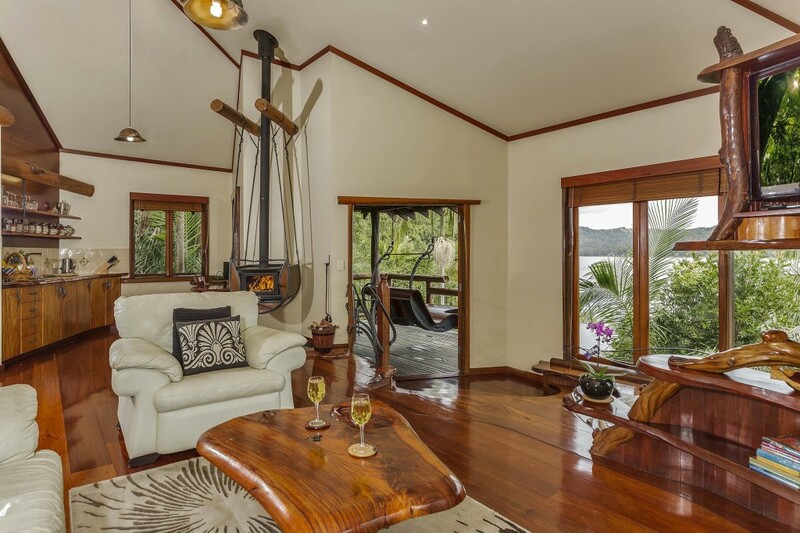 Standing right on the edge of the lake, Platypus is suitable for a single couple and has amazing views of the lake and lawn to the boathouse from its sunken spa. This is our special new ‘house’ sized cabin that has all of the facilities of the treehouses while being able to cater for up to six people. It is very family friendly and private. 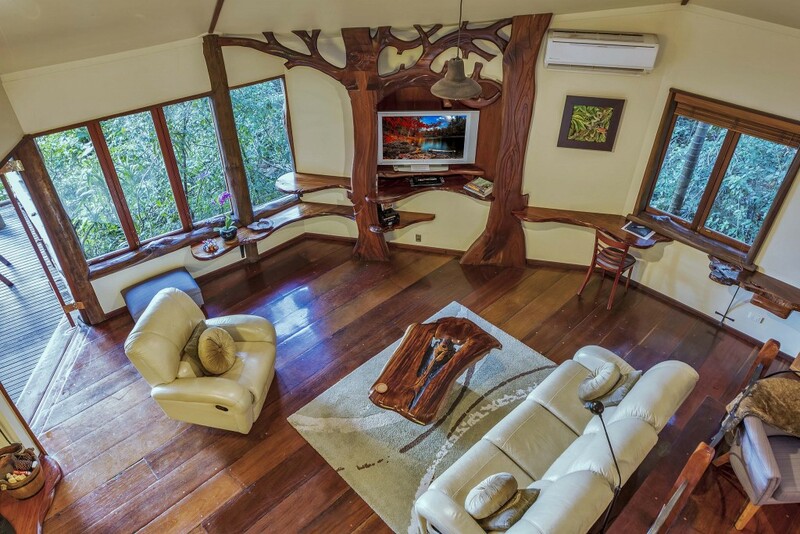 The Wait-a-While cabin has an elevated second bedroom looking out over the lounge area and rainforest. It has two queen sized beds and is suitable for two couples.